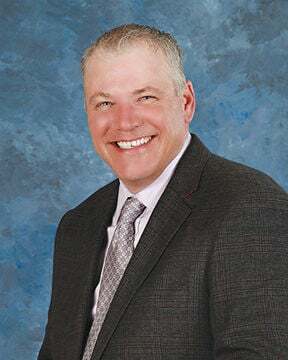 The Chariton Valley Electric Cooperative Board of Directors on Monday announced that Bryon Stilley has resigned as general manager. Stilley will be exploring new opportunities outside of Albia. Stilley joined CVEC in 2008 as Operations Manager, coming from Crow Wing Power in Brainerd, Minn. He was promoted to General Manager in 2015, replacing Jon Miles. During his tenure at CVEC, Stilley served on several committees including Safety Committee and Regulatory Affairs Committee for Iowa Association of Electric Cooperatives as well as Iowa One Call Board. He currently sits on the Albia City Council. The CVEC Board of Directors appreciate Bryon’s service and efforts on behalf of the cooperative and wish Bryon the best in the next phase of his career, said CVEC President Mike Miller. Charles VanDePol, recently retired and longtime CVEC employee, has agreed to assume the role of Interim General Manager. Miller stated the board is pleased to have VanDePol back in a leadership role, and are confident in the abilities of the staff and cooperative to continue to provide excellent service to the membership during this time of transition. VanDePol began his career with Albia Light and Railway and joined Chariton Valley Electric Coop when it purchased the Albia utility company. He resides in Blakesburg.